The Chart function is needed to generate instrument charts. 2. In the Open menu, select the Chart tab. In this window, you will need to select your preferred instrument in the Favorites or All Instruments tab and to load the chart by clicking the Open. 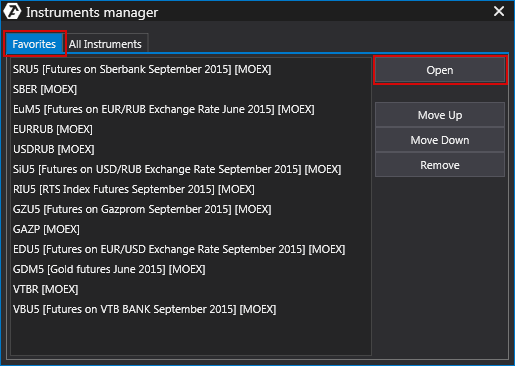 * More information about the functions and settings in this window is provided in the paragraph: Instruments manager. This will open the chart of your selected instrument. 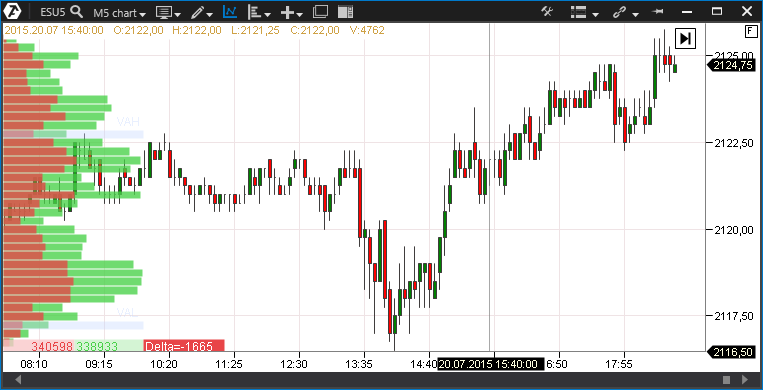 The start-up appearance of the chart window is set by default, but you can change it at your discretion.